The environment of an office has great influence on the morale of the workers. It also affects the performance of the employees as everyone likes to work in a healthy environment. 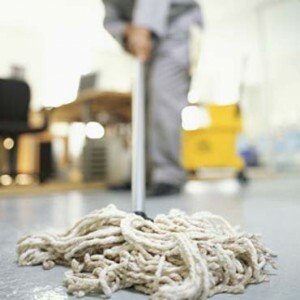 However it becomes very difficult to maintain a clean office without any professional help as it requires some extensive effort which can only be provided by expert cleaners. The daily waste which is accumulated in the office can only be cleaned by professional cleaning team. The different aspects of cleaning the offices include windows and flooring. Our cleaning team in Putney, SW15 London takes care of all the parts in your office and tries to make it as clean as it can be. The floors are mopped and if they are carpeted then the cleaning will only be limited to professional vacuum cleaning. Each and every furniture in the office is cleaned which includes the desks, cubicle, chairs, etc. This makes the employees happy and increases their productivity. A dirty office room always makes people unhappy and distracts them from working to their full potential. Once we finish the main area in your office then we clean the toilets and the washrooms. Our cleaning package includes daily morning cleaning and also regular cleaning all the day. We use different smell fresheners to remove any foul smell that might have crept up in your office. The fresheners are long lasting and provide a nice ambiance to the environment in the office. Different types of cleaning tasks like clearing the bins, removing the papers, and also cleaning the pantry are also included in our package. All the services are given standard attention and professional care. Our specialist cleaners provide some of the best professional cleaning services in almost all the offices all over London and we are open to negotiate the price of the services as it depends on the number of rooms that are required to be cleaned. You can also ask for the frequency of any service which suits you like window cleaning or floor cleaning.